I like specialty coffee. I don’t drink it at home but when I go out, I want something that I can’t make for myself at home. I like good, strong, espresso. One of the coffee shops here now makes k-cups you can buy for at home and there’s a huge difference in those vs. whatever you buy at Walmart/Aldi/Costco etc. A k-cup isn’t just a k-cup. I haven’t tried the Aldi coffee, though I’ve heard it is good. Glad Sadie is recovering from the ear infection! Exactly my thoughts! When I’m out, I want a fun treat I can’t make myself! How neat that a coffee shop by you makes k cups! I wish ones near us did—I’d totally be into that! 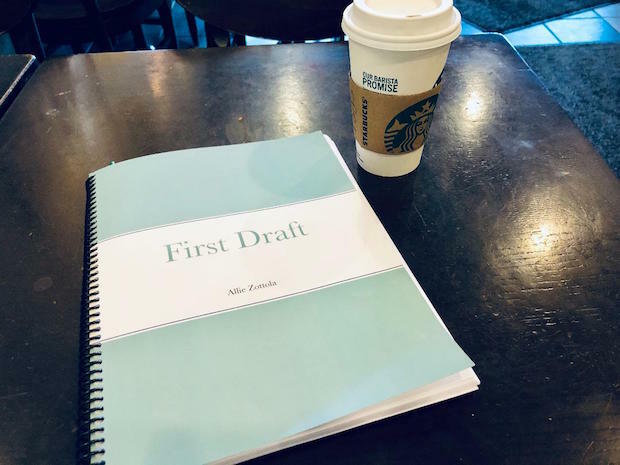 That’s so exciting to be editing your first draft!! Can’t wait for you to publish the book since something tells me it will be great. Okay I’m so indecisive and all of those options sound delicious for dinner. A pizza bar sounds like a ton of fun but I also love a good spicy chili. Personally ribs remind me of summer so I would maybe save that for a bbq in warmer weather. Lol about not liking bubblegum medicine! So true!! Thankfully her ear infection cleared up! Aw poor thing!!! I hope she is turning the corner by now ❤ Sending her big hugs. Starbucks giftcards are the bestttt- I just used one yesterday and mmm mmm, gotta love that liquid gold! YES to Sbux gift cards!! They are truly one of the best gifts, haha!! It’s so pitiful when babies are sick. I hope she decides she likes the medicine soon so she can heal up. And as always, I’m so glad you have family close by. It’s such a blessing with small children in the house. She never did decide to like the medicine, but we figured out a way to get it in her, haha! Glad it’s done now, though! It truly is SUCH a blessing to have family nearby for help. I don’t know what we would do without them! Thank you for the encouragement about my book, Rach! That means so much to me! ❤ You better believe I am enjoying every sip of that coffee, haha! Yay for the SF mocha sauce! It has been a while since I had a mocha and now I want one! Ahh, Lady and the Tramp! Loved that movie, and now it reminds me of Mavis!! Totally romantic, even with trying to eat spaghetti, haha!! Poor baby Sadie! So learning how to give a baby medicine feels new to me as well, because Brady took it like a champ. He actually ‘liked’ medicine and would guzzle it down like juice. HA! I thought all kiddos were like that until Kaitlyn came along… She spits everything out as well. She had her first ear infection last February and spit out a ton of the medicine, but apparently she got enough in to help fight off the infection. With her, we really have to make sure the syringe goes back into the inside of her cheek, but I can’t say that I’ve found a fool-proof method yet. How interesting that Brady took medicine like a champ (and even liked it!!!) but Kaitlyn spits it out! I think the same thing happened with Sadie–she got enough medicine to clear the infection up, even with spitting out most of it, haha! Thanks for the tip with the syringe going back into the inside of her cheek!! Aww poor Sadie!! I hope she’s feeling a bit better by now. Ear infections are literally the worst, and how sad for a baby who can’t really express how she’s feeling. I definitely am more of a coffee snob who is particular about good flavor. I don’t think I used to be, but then we found inexpensive and really good-quality coffee and since then, I’ve noticed poor-quality coffee more, lol, so I got spoiled. 😉 I love that you found a great kind for so cheap at Aldi’s! Sadie girl is feeling much better and her ear infection is all cleared up now–yay!! Yay for you being a fellow coffee snob!! It’s so true that once you find good coffee, you can really notice poor-quality coffee, haha. What coffee do you guys buy?! Oh good!! I’m glad that it’s all cleared up now–though now I know about how you all caught the flu not long after, and that just sounds miserable! What a season! Oh, poor Sadie! Ear infections are so unpleasant – I had one a few years ago and it made me feel disoriented because I couldn’t hear out of one ear. It must be even harder for babies/small children as they can’t explain how they’re feeling. I hope the antibiotics started working quickly and that she recovers quickly. 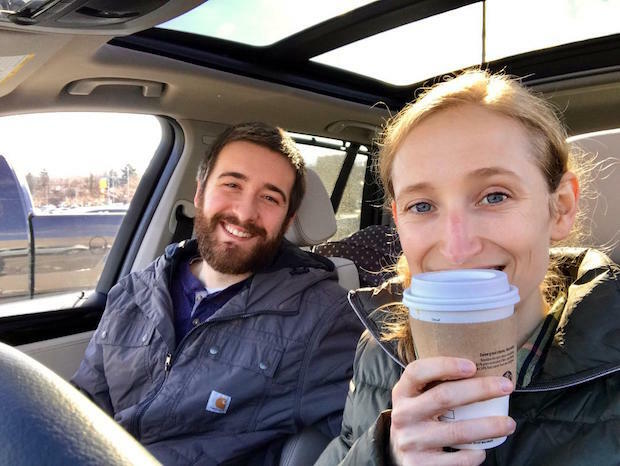 Re: specialty coffee – yes! I’m with you… different coffees have such different flavor profiles. I often enjoy Colombian coffee. Yay that you’re still working on your work despite being busy and sleep deprived. I’d love to read it one day if you decide to share it. Oops, meant to say “working on your book”, not “working on your work”. 😂 Guess I need more coffee haha. I’ve only had one cup this morning! Thankfully Sadie’s ear infection is all cleared up now! Mmm, now I want Colombian coffee! I just had breakfast blend this morning and it was good, but I think Colombian is way more robust and tasty! I am SO honored you would want to read my book! Now I’m really determined to finish it despite the sleep deprivation and busyness, haha! There’s never a “right” or “perfect” time, so I just have to finish it regardless of my circumstances! Oh I’m glad Sadie’s all better now! Although I just saw Courtney’s comment about you all getting the flu. Ugh, winter is the worst in that respect. So many viruses! I’ve been avoiding people with colds in the office haha. And one of my co-workers was off sick with laryngitis, poor girl. Hope you’re all better now! Wow, your Valentine’s meal sounds great! 🙂 I enjoyed the day but my guy’s working away so we didn’t spend it together. But he texted me and that made me smile. 🙂 It’s the first year I’ve got a Valentine’s message from a guy! And my company decorated the office with balloons and bowls of love heart candy. Do you have those in the States? They’re little heart-shaped candies with different messages on them, like “Kiss Me” and “You’re Mine”. I’m sorry you were having trouble with the comment! I only got it once, so I don’t know what happened! I agree with you about all the winter germs… it’s the pits! I don’t blame you for avoiding people at the office! I’d be the same way, haha. I told Hannah to avoid me once we got sick because I didn’t want her pregnant-self catching anything! I would have felt HORRIBLE! I hope your co-worker is feeling better now! I think once I finish my book I will talk about what it’s about! Thanks for the compliment on our V-Day meal! Sorry you didn’t get to spend the day with your sweetie! How sweet that he texted you, though 🙂 We do have the heart candy here! It’s like chalky… is that how it is for you guys?! I’m happy to report her ear infection is all cleared up–whoop whoop!! You’re amazing for liking coffee plain and black! I at least have to have some cream, haha. Do you enjoy specality drinks like frappuccinos and lattes, or just black coffee?! I can't believe I chose the option you actually made!!! 😀 Sounds so yummy!! !